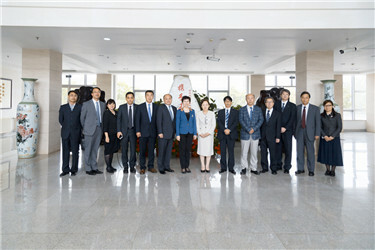 On May 23rd, President Liu Hong met with delegation led by General Director Noriko Mizuta from Josai University, Japan. Heads of School of Japanese, School of Software and Engineering, and Office of International Exchange were present at the meeting. Liu welcomed Mizuta and her entourage. She expressed her appreciation for the communication and cooperation between the two universities in personnel training and academic research. She also spoke highly of the bilateral project of translating and studying of Chinese and Japanese poems, which has expanded our influence in the field of Chinese and Japanese Poetry. 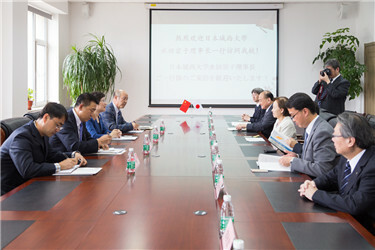 At the meeting both sides have discussed future plans, including cooperation in international personnel training, academic communication and collaboration in scientific research in Northeast Asia, which definitely promotes common development. 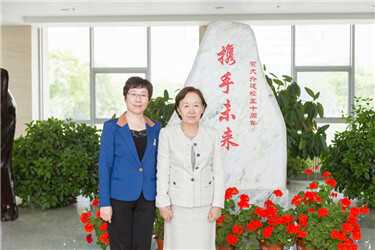 Mizuta appreciated the hospitality she has received and agreed with Liu’s comment on the bilateral relations. She said that the 2020 Tokyo Olympic Games is approaching, Japan’s demand for international talent is increasing in the years to come. The interaction between tertiary institutions will ensure the case. After the meeting, the delegation attended the Forum of Modern Chinese and Japanese Poems.